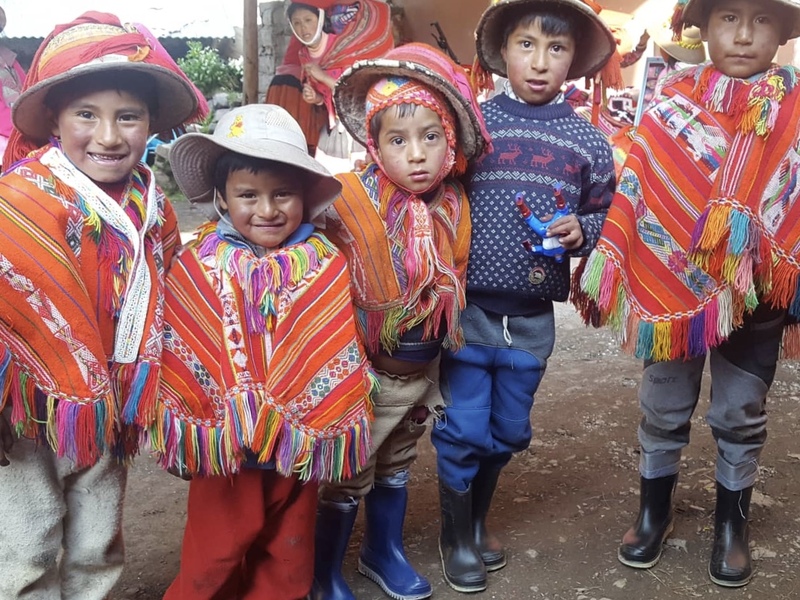 PERU – January 2019 – Boots Anyone? Forty-eight children in Willoq Alto, with their mothers, gathered to receive boots and socks for the winter rains and snow and mud. This will be the first time they won’t have to endure the painful cold with only sandals to wear at 12,500 ft elevation. They also enjoyed a cup of hot cocoa and panetone – a traditional holiday bread.